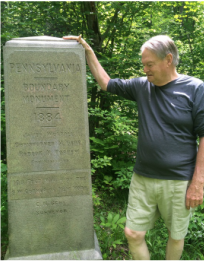 The Marker at the very south-western edge of New York state is very unassuming in its presence but has a lot of Local and even State and National History especially for the Colonies of Virginia, New York and Pennsylvania. The vague grants given originally from the King of England to the colonies and the ownership of the Indians helped turn the issue into a real predicament . To get the facts as we know them today click on the button below to see how important this area was and the important Local, State and National Historical People that were involved to straighten the mess out and a mess it was at the time. You would think such an important marker would be easy to find but there was no bands playing or standing in line to see this hidden historical marker that would go back to 1792. In the end Pennsylvania paid the Federal Government $151,640.25 for the land. See what was paid the Indians who were pushed east onto a reservation that was later taken for the Kinzua Reservoir. 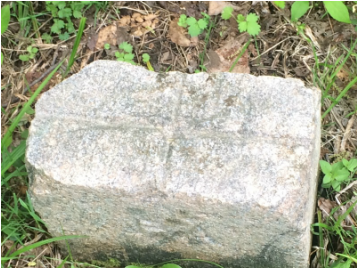 In this investigation the lead investigator from the Sherman Historical Society and a representative from the Findley Lake Mina Historical Society set out one Saturday morning in the hopes of locating this hidden marker. The lead investigator had the better lay of the land since he knew many of the farmers and land owners in the area. The investigators are a little like an indian and a blood hound once they get on a trail. Reading the signs took a little time but once they hit the trail you might say their noses were to the ground. After some diligent hunting and probing into the forest and underbrush the trail was getting cold. Being resourceful they finally came up with the idea that they would ask some one locally and you guessed it. A lady lead them to the area. History is Fun.